What men do – and of what they dream. Most people have a Kilkee: a magical place associated with the happiest times of childhood that retains a hold over you for the rest of your life. Kilkee is a village of around 1400 folk on the west coast of Co Clare in Ireland; you could easily say ‘next Parish, America’. In some ways it’s a typical seaside town, built round a beautiful bay, with cliffs at either end, and rolling fields stretching out over hills behind it. Like all towns, it has changed with the times: it probably has too many new housing developments for its own good, some of its characters are long gone, and summer weekends can see it a little overrun. On the other hand, there is a better living for its residents than previously, and it has survived some difficult times since its hey day as a popular holiday destination for the people of Limerick and indeed of the whole of Ireland, in the 1950s and 60s. Though many who read this will not know Kilkee or have seen it, I believe the sentiments will strike a chord with anyone who has felt joy in a location or marvelled at the beauty of nature and man’s use of it. I first visited Kilkee in 1966. It lay a good 90 minutes by narrow road from Shannon Airport, and, at the end of a quiet road, it really felt quite remote. The papers arrived by bus around 4pm, the only sure way to travel anywhere else from the town was by hitching a lift, and local folk dressed in a distinctive style that had little connection to high fashion as found in Dublin or the UK. It was possible to look through the window a the post office and see the telephone operator responding to the twisted handles from phones around the town. There was a caravan site, two amusement arcades, a cinema and 6 hotels. Entertainment was found in some of the 30 odd pubs or at the showband dance in the Hydro Hotel. You could get chips at Manuel’s, a burger at Haugh’s Central Stores, postcards at John Williams Pharmacy or Collins Medical Hall, and your hair styled, if you were female, at Peggy Starr’s. Nolan’s and Hickeys were the butchers and grocers, the Irish House was the newsagents and Buckley’s did a good line in souvenirs. Ray Russell would do you a fabulous Irish Coffee in Mrs Egan’s, the Scott brothers would polish their glasses in Scotts, and there would be great late sessions in the Strand, Tom Kett’s and the Vic. Singsongs could go on in the Hydro till 5am, and Methodists from the North played croquet on the lawn in front of their holiday house at Clar Ellagh. From the age of 14 till I was in my thirties, I holidayed there every summer, and sometimes two or three times more each year. I could identify the rattle of periwinkle shells in the gutter opposite Nolan’s, the smell of the seaweed rising from the strand in front of the Hydro by the West End Stores, Canon Kenny reading his Office on the beach, Fr Culligan encouraging the footballers, the kayak in Tom Nolan’s front garden that was the forerunner of Kilkee Marine Rescue, his sister Dympna who went nursing at Crumlin, PJ King’s taxi, and the auburn wig of my Scottish countryman, Wally, at the amusements. I remember the bakers, Leadmore Dairies and HB ice cream. I saw Granny’s Intentions twice at the Olympia Hall in Merton Square and Dickie Rock and the Miami in a Marquee. When they started the summer festival, my mother was the first judge of the fancy dress. I stayed at the Hydro, the Marine, the Strand, the Esplanade, the Stella Maris and the Ocean Cove – and a few times in Peggy O’Halloran’s shed. I bumped into Richard Harris and his brother Dermot, and had drinks brought for me by Brian Lenihan senior and Paddy Hillery. Going to Kilkee was like dying and going to heaven. I used to think it was only me who felt like that – and Kilkee has always been the third person in any relationships I have had. Now, largely through various internet sites, I am aware that Kilkee is precious to thousands of people of all ages, in all countries, and for all reasons. It has a resonance way beyond its size or location. It keeps popping up when you least expect it. Charlotte Bronte honeymooned there; Tennyson and Ryder Haggard visited; Che Guevara spent time there. First President of the Republic and 1916 signatory, Tom Clarke, proposed to his wife there; Charlie Haughey walked the cliffs at Georges Head when he was trying to make important decisions; the British spy, Littlejohn, was discovered on the caravan site during the Troubles; ‘Ryan’s Daughter’ and ‘Joyriders’ were filmed here; Oliver Reed spent a summer there; Terry Wogan and Frank McCourt holidayed in Kilkee, and Hilda O’Malley, inspiration for Patrick Kavanagh’s Raglan Road, along with husband, Donagh, the revolutionary Education Minister and son, Daragh, of ‘Sharpe’ TV fame, were also regular visitors. There is a history here – and not just for the famed and famous. Let me take you a walk, from our old hotel, the Hydro, at the West End, further round the bay. You will pass a number of lodges and summer homes, veering left past an old boarding house called Sykes’s. There are rocks below the sea wall here, at Edmond Point. The name comes from the barque Edmond which, caught in an horrendous storm, was wrecked here in November 1850 with the loss of 98 lives. On we go, down hill now, past more lodges and some newer houses behind up the hill, in Castlefield, the original foundation point of Kilkee, the MacDonnell’s castle. On the right below is the Newfoundout diving spot, and on the left the large lodge that was once the property of Richard Harris. At the bottom of the hill, the road round the bay ends in car park. Stretching out across the bay to your right are the rocks of the Pollock Holes and the Duggerna Reef, guarding the entrance to the bay, and ahead is the newly constructed Diamond Rocks Café. These days it is a smart modern construction, but in my day, it was a more basic shop and pitch and putt course. It was owned by a great Kilkee family, the Haughs, and I became addicted to the course, playing twice or often three times a day. Maureen Haugh was a wonderful woman who came to know me well and I enjoyed our chats as much as I enjoyed the golf. She ran a B&B called Dunearn at the top of the hill and, out of season, when the course was closed, she would leave a couple of clubs in the sun porch so I could pick them up and batter my way round free of charge. She was the first familiar face I looked for whenever I returned to the town. Now, if you pass the café, you’ll find a statue of Richard Harris, in typical pose, playing Kilkee Racquets, a unique beach game, played against the sea wall below the Hydro hotel, at which he was a great champion in his youth. In days of yore, there was just a basic path past the shop leading up towards the cliffs. You passed the pitch and putt to your left, and to your right caught sight of the ‘Amphitheatre’ a circular arrangement of rocks around an inlet which provided spectacular waves and a venue for late night parties, concerts and sing songs. Then you came to a kind of stile with a narrow entrance to keep out cattle. From 1970 onward, this was a breeze blocked wall, surrounded by cobbles. MGM and David Lean, waiting around a year in Kilkee for a suitable storm to film for Ryan’s Daughter, had laid tracks along the cliff top to their location. When they left they reinstated all works and left the site looking better than before, having consolidated the path at the cliff edge. Walking on, you become aware of a magnificent view northward, across to the matching cliffs of George’s Head and beyond that to the Aran Islands and Galway Bay. Immediately below are sheer cliffs and pounding breakers. One inlet here is called Intrinsic Bay – with another sad story to tell. Here, in January 1836, the Intrinsic, out of Liverpool, foundered, with the loss of 14 lives. The path is uneven, there are bits of flimsy fence on the cliff edge at the most exposed places, not so much a prevention, more a warning to take care. Here in 1966, trying to impress a girl, for some reason I was singing the current hit: ‘You better move on”. It was raining and muddy and I slipped in a gully and fell full length. It didn’t help my case! Up ahead you see a strange white building with portholes for windows and a narrow doorway – the sheep shelter. As your reach it, you see a flight of rough steps heading downward, and if you follow them, you come to the magical Diamond Rocks. So called because the quartz in them shines out to sea in the sunlight, this brilliant configuration of exposed strata, ledges, puffing holes and tidal pools is as close as I’ve ever found to heaven on earth. You could spend days there and never get tired of the mysteries, the changing waves, the rock formations and the sound of the surf and the sea birds. I don’t have words to explain this place; it is simply perfect. Ahead you will see Bishop’s Island with the remains of Senan’s Hermitage still piled on top, and the triangular hunk of Bird Rock, a haven to so many kinds of migrant and indigenous species. Looking westward will inevitably tempt you into carrying on your walk, so you climb back up to the cliff tops, passing the site where David Lean anchored his film cameras in a furious storm, losing some of them in the process, and you make the steep climb up Lookout Hill, from the top of which the reason for its name becomes obvious as you can see over half of Clare, over to Kerry and out far into the Atlantic. Stepping down from here, you come to the road which reaches out towards Loop head, the most westerly point of Corca Baiscinn, the West Clare Penninsula. You can turn back towards Kilkee, or you can keep heading west. Going west, you will find a more desolate landscape in what was in the early years of the 20th Century an Irish speaking area. You’ll pass a holy well, more memorable seascapes and eventually reach the village of Cross in the townland of Kilballyowen. A ruined church in an overgrown cemetery marks this as a victim of the Famine, but there are new houses and a new church and a strong community here. A girl called Noreen from Kilballyowen owned my heart for a time in the late 60s. Travelling on, lucky to pass any cars at all, you reach Moneen – a church, some houses and a national school. Stop at the church and go in. You’ll find a bathing cart, converted into an altar with a cover. It’s known as The Little Ark. In the 1850s, pushed out to a point between the high and low water marks, outwith the reach of law, this contraption was used to provide Mass for the local people against the penal laws of the time. 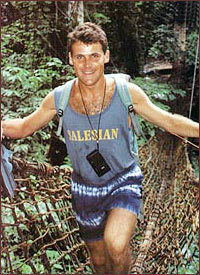 Outside, you’ll find a grave and marked on it is the name of Fr Bernard Keating. This Irish speaking priest came from a famous local family and was posted to the Liverpool Archdiocese after his ordination. He performed the marriage of my aunt , and after a lifetime of trying to persuade my mother as to the charms of Kilkee, was finally the man responsible for my first arriving in the town in 1966. I never miss a chance to thank his memory. Carrying on you can visit the amazing Bridges of Ross with their natural rock formations, or the lighthouse at Loop Head. 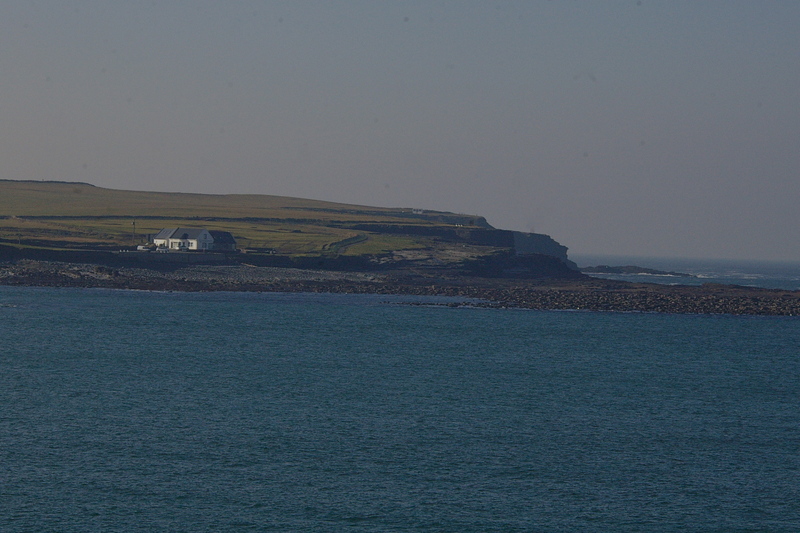 You can also stop for a pint at Kilbaha with its two pubs and beautiful bay. Back in the day, there was Keating’s and Haier’s, and great was the rejoicing when Aine Keating married one of the Haiers in 1974 – now you could drink in either pub without insulting anyone! All of these are personal memories – but now comes the point. I read today of the work that has been done, under the auspices of Health and Safety, on that cliff path – up from the pitch and putt, past the sheep shelter and the Diamond Rocks – and local people are not happy. Tarmac, ruined flora, piles of earth and hideous noticeboards – all conspiring to wreck the scene, to disrespect the splendour of the site. The excuse is that the work had to be rushed, the finishing touches could not be applied in November and it was all in the cause of safety. I am not in Kilkee, I haven’t seen the work, but I have read the despair of people who love the area. I also remember the care with which MGM reinstated the area after their film trucks had been over the cliffs in 1968: they left it better than before; they consulted with locals and took advice; the work they did lasted over 40 years – not bad for the ephemeral profit seeking moguls of Hollywood! Ireland and her officials have an unhappy history with planning; you would hope lessons had been learned, but it appears not. The cliff walk at Kilkee represents the official vandalism which is carried out around the world through lack of thought and inability to hold a vision. All it would have taken to get this right would have been a bit of time, thought and consultation. 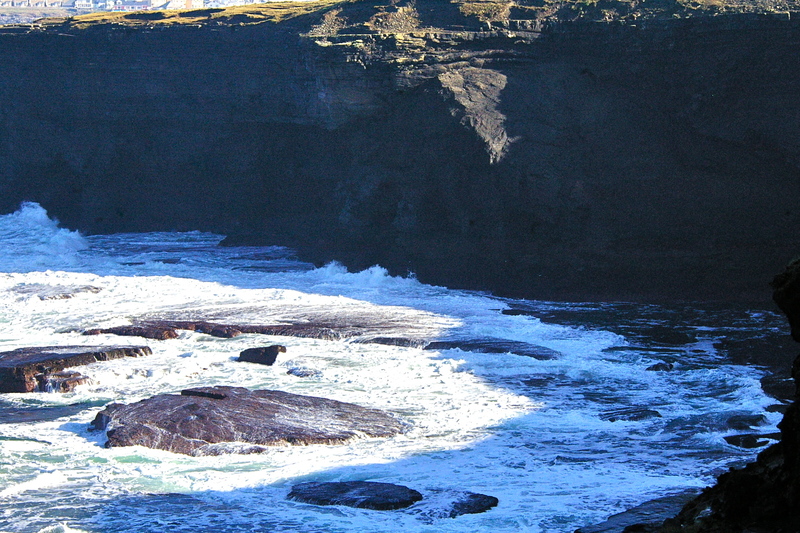 This is not just a tourist attraction; Kilkee people use it all the time – they appreciate the beauty of what they have, and, as I’ve tried to show in this piece, we’re not just talking about grass, plants ands rocks here. People around the world of all ages and backgrounds have dreams invested in this town, in its history, their memories, and the walks they took on this path. On my office wall is a panoramic view of Kilkee; in times of stress I walk the bay and up to the Diamond Rocks in my head; the memories of the sea air, the spray, the surf and the birdcall clear my thoughts, lower the blood pressure. The town managers and council planners have to realise they are the caretakers of our dreams, the curators of our memories. It’s a weighty responsibility and one they must acknowledge. I can’t believe it’s right to find the incompetence of man on a walk where it’s perfectly possible to see God. So beautifully and lyrically put with great attention to historical and social detail. So sad that it had to end with a rebuke of officialdom and its insensitivities towards a place so loved. I’m one of the thousands to whom you refer – thank you for describing my favourite place in all the world so perfectly and for capturing Kilkee’s amazing hold over all who have spent their younger years revelling in its beauty and unique atmosphere. If only the council and planners empathised with our love of the area. Of course health and safety is critical, but surely this can be incorporated sensitively, leaving our amazing town and its surrounding landscapes for all to enjoy for generations to come. Excellently written, with great photos. Not been to Kilkee myself for two and a half years but I know exactly what you mean about the dreaded Health and Safety. I now live in London and for years I used to go on a walk by Lea Bridge canal – now it’s covered in tarmac and I have no desire to use it. Do those who decide these things ever go on walks themselves? Well done on a thoughtful and moving piece. I too share so many of those memories as my mother was a native and we spent long and very happy holidays there over the years. Official Ireland is the sow that eats her farrow and compounding the hurt is that the the destruction of our environment is paid for with our own taxes. A wonderful and evocative piece of writing. Kilkee has been for me a place of wonder and freedom in my childhood, a place where I bring my own family and watch with delight as they revell in its beauty and where I also still travel to with my siblings to enjoy it as a solitary pleasure, free for a short while from the pressures of parenthood. I have never come accross a place that can offer all this and still be largely unspoilt. As an aside, the recent placing of rails and a ridiculous sign which has a photograph of the very view that it’s obscuring, in the name of health and safety and the debacle over the diving boards for the same apparent reasons, is everything that Kilkee isn’t. When I stayed there as a child our parents let us roam free (with the normal cautions, don’t go too close to the cliff edge, watch the tides) and allowed us to discover our own Kilkee. I will be doing the same with my children, using common sense rather than a health and safety manual. It’s great to read about my favourite place, and so well written. Thank you for giving me the courage to keep fighting for the place that i love and live in, I am a native of Kilkee and run a business here called Naughton;s and because i believe in the place so much i decided to go for election on the town council and today that is where i stand and i can genuinely tell you that trying to fight the officaldum of the Clare County Council is something i never envisaged would be so hard, but with people like you reminding us all of all our memories is just what was needed in my day today, i look at the past and see things that were done and i cringe but there is nothing i can do about that . But i can do something about the future of Kilkee and i can reassure you i will do the best in my power to keep Kilkee as beautiful as it has always been because in my house are 2 small boys who i hope will have the choice either to stay or leave kilkee in time and i want to make sure that this generation make it good for the next , and again thank you for that bautiful piece. 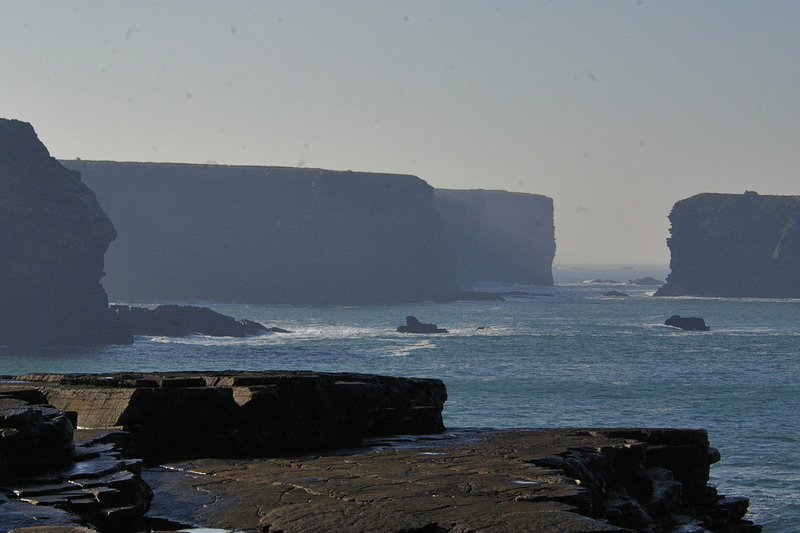 If you’d like the rest of the country to know about the beauty of Kilkee, please phone RTE and request it! 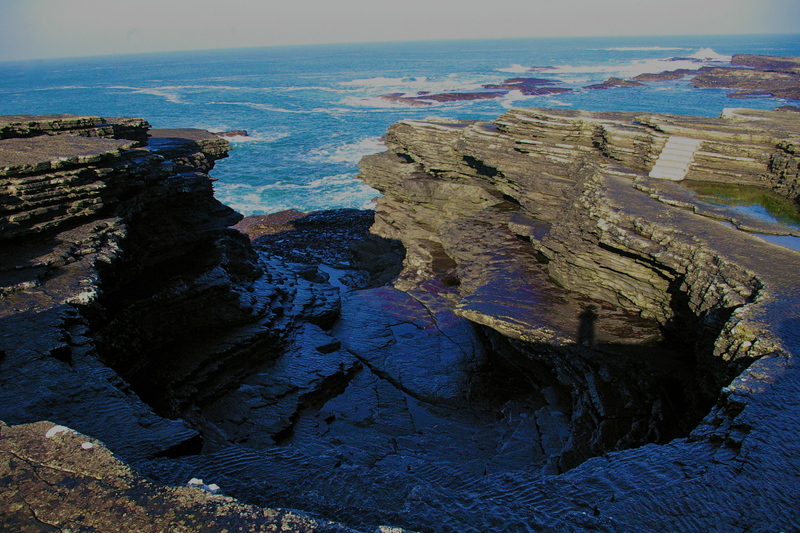 Kilkee is a magical place and I also enjoyed holidays there. You could tell the weather by looking if the cattle were standing on St George’s Head! Brilliant great read my father was born in Kilkee I spend many wonderful summers there,strangely never remember it raining. Bumper Cars Football on the grass near Bandstand,swimming in the Pollock Holes,Cliff walks,Rock Pools. Happy days indeed even the Camomile Lotion on my Sunburn. Thanks Stephen – I’m glad you enjoyed it. The memories never fade do they? I’m American. My grandmother, Mary McNamara, aka Molly, was born in Kilkee in 1902. She was always proud of that! Her early life was full of sorrow: her father was a fisherman who was lost at sea, and her mother and brother died of tuberculosis. Her older sister, Lizzie, emmigrated to the US and my grandmother remained with their aunt in Kilkee. A few years later Lizzie and her husband had saved enough money and sent for my grandmother. She lived a good life of 94 years. 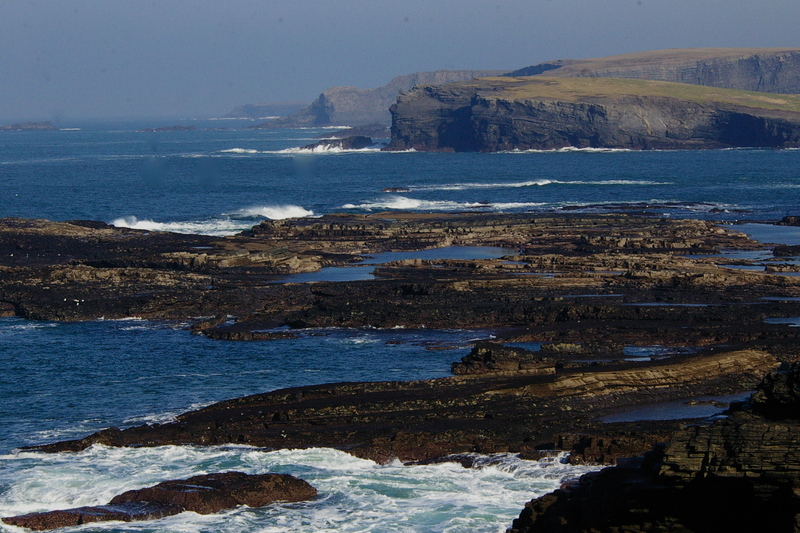 My wife, mother and I were able to visit Kilkee in ’08 and what a great little place it is! We loved the town and the surrounding seascape with its cliffs and pools. And the people were very welcoming. One of my favorite memories from all of my travels is of driving along a road north of Kilkee and running into an old farmer gent named Ioin Gallagher. I wasn’t sure if I had stumbled onto a private drive, so I asked if I could continue on the road. He replied, “You could, but you’d need a medic…” Then I saw that up ahead the road ended right before a cliff! Mr. Gallagher was friendly and funny, and we chatted for over 1/2 hour on the side of the road. I hope to visit again someday. My grandmother was always afraid to go back to Kilkee, thinking it would be too emotional. Flying out of Shannon to New York, we passed right over Kilkee and I could not help think of her life, the hardship and separation she went though, and how easy my life is in comparison. Her solo journey to New York (via Cobh) as a 12 year-old took about 10 days. Ours would take less than seven hours. Thank you so much for your comments. Your tale is common to many. My own grandfather and his brother left Leitrim in the north west of Ireland and worked on the trolley cars in Brooklyn (responsible for the name of the great Brooklyn Dodgers!) from 1889-1894 to raise the money to come back and here to EDinburgh to open grocery stores from which they sold produce from the farm in Leitrim. I visited Cobh a few years ago and the place reeks with the scent of departure and lost relationships. I’m glad you got to Kilkee and that you met the usual welcome. The main street and the West End will not have changed too much form your grandmother’s day despite all the recent building.You must have felt you were walking beside her at times. I am currently working on a book of my Kilkee memories – it will be publicised on this site later this year. My mum was/is obsessed with coffee shops and there was one on the main street in the town that was a favourite. There was a toy store nearby so we used to go in to get a new kite / bucket & spade or whatever while she knocked back the decafs. Nostalgia indeed.